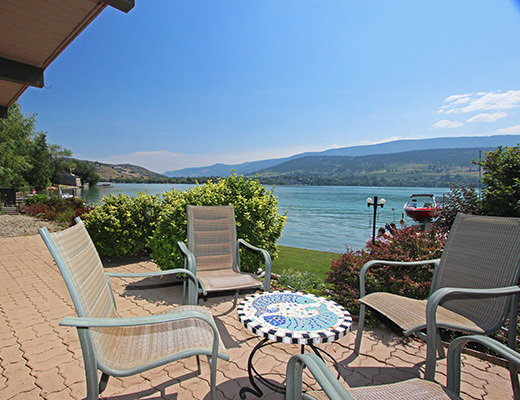 Located on the shores of beautiful Kalamalka Lake, this 3 bedroom home provides guests with everything they will need for a vacation filled with summer fun. 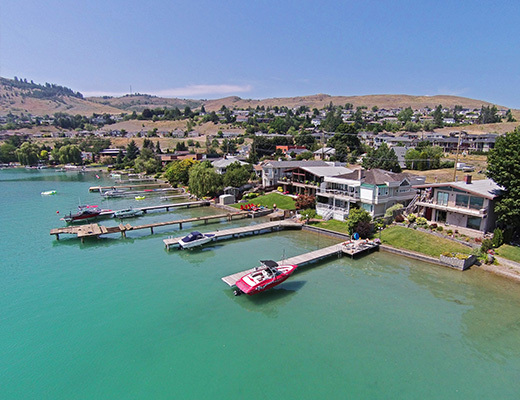 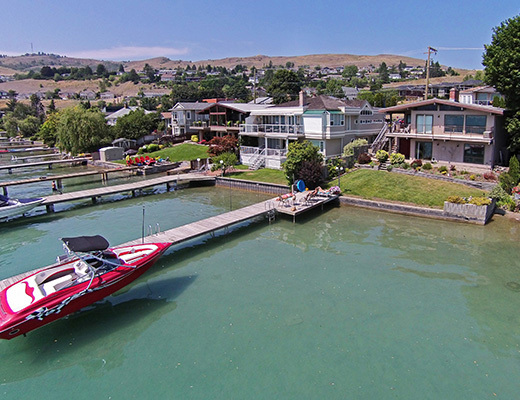 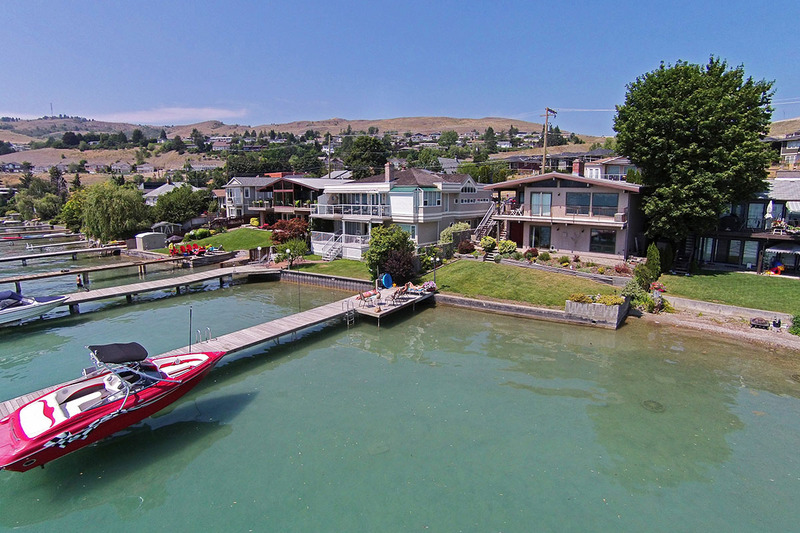 Perfect for families with children, this property offers a spacious front lawn, easy lake access and an expansive dock with powered boat lift. 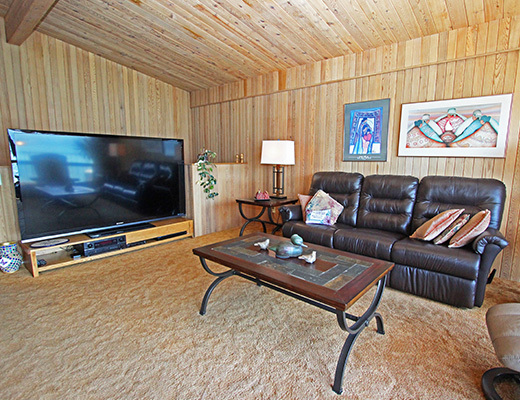 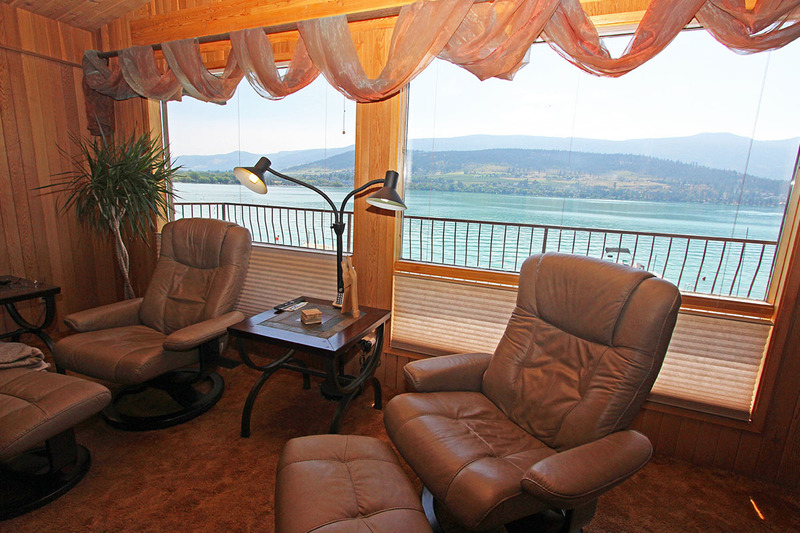 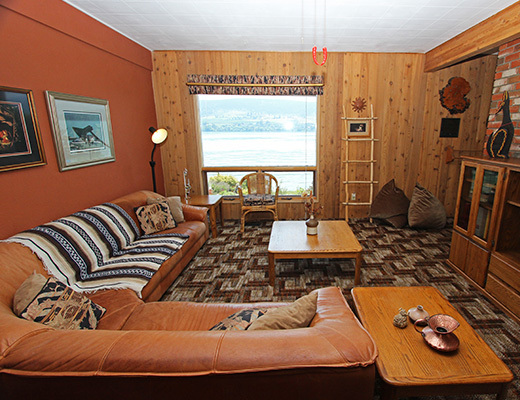 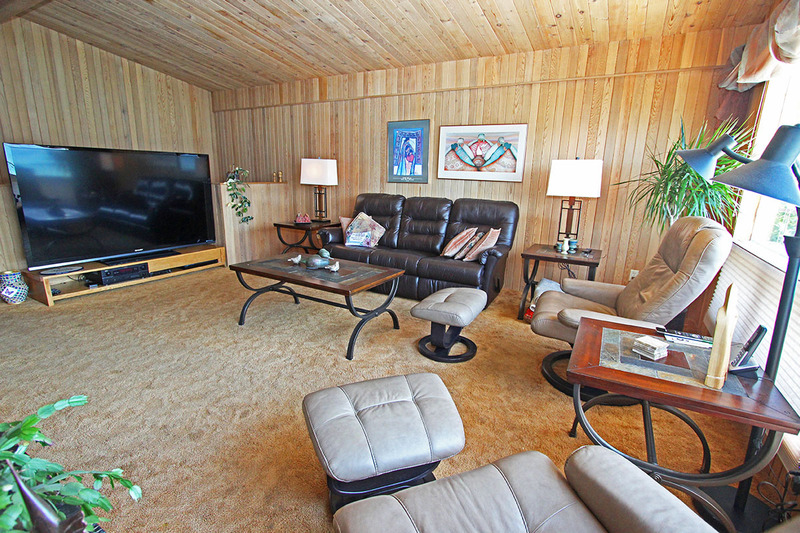 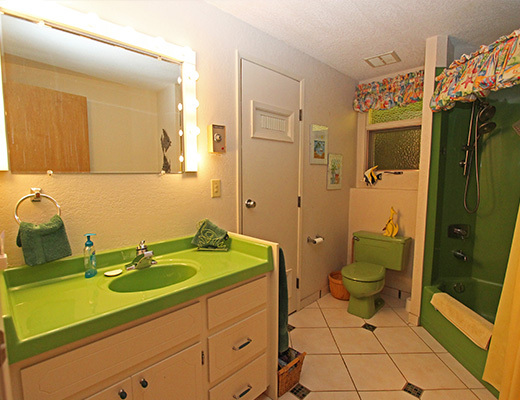 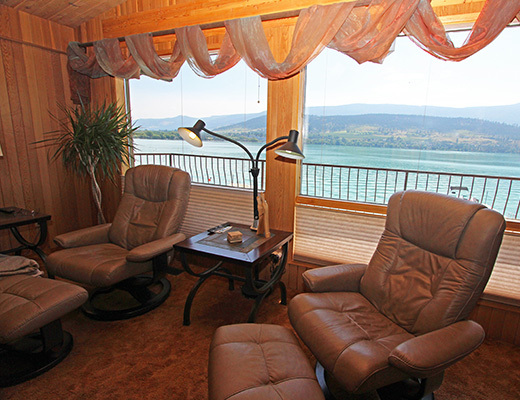 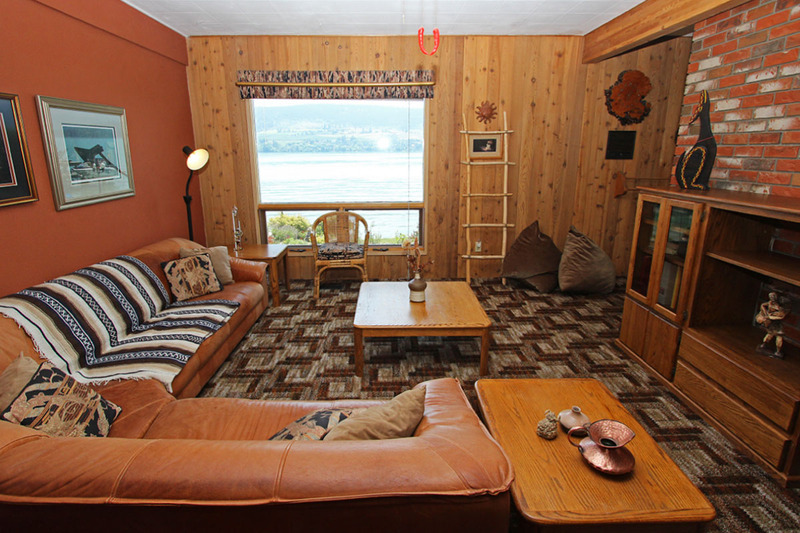 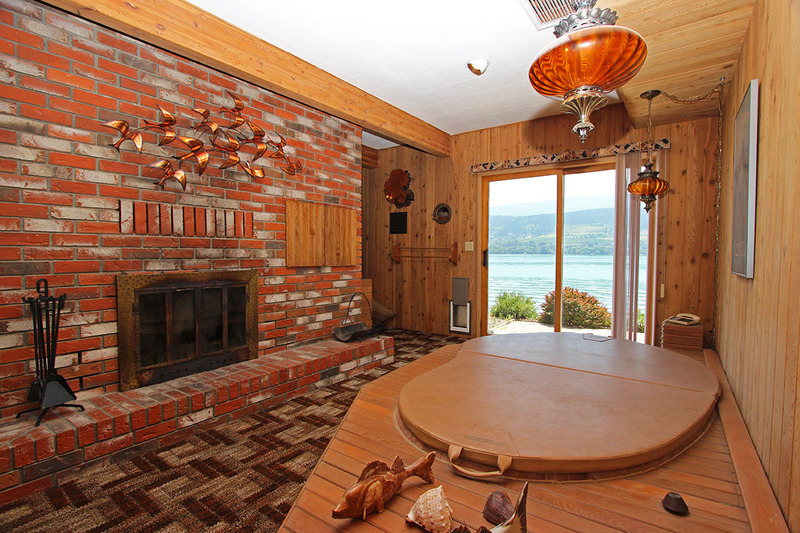 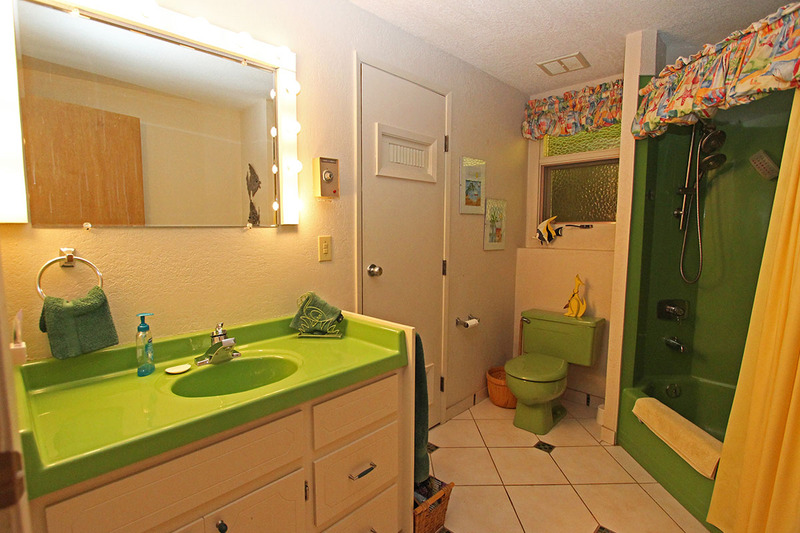 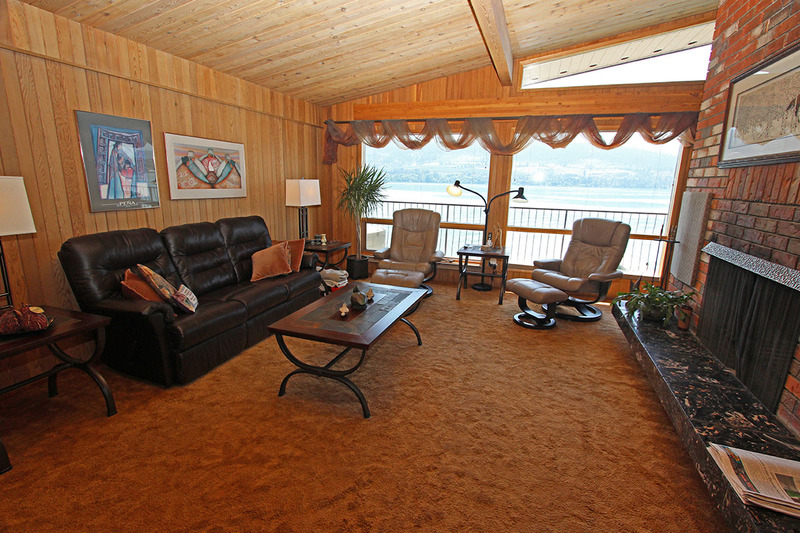 The upper level offers a comfortably furnished living area with sweeping lake views and a big screen TV. 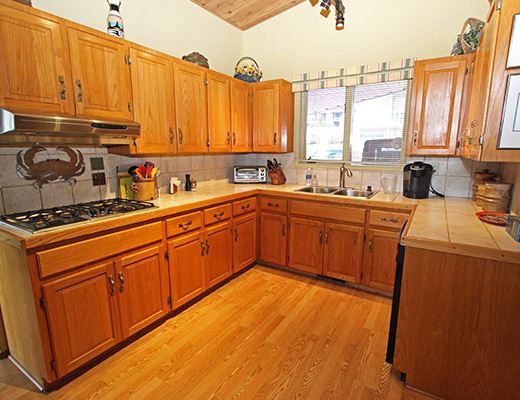 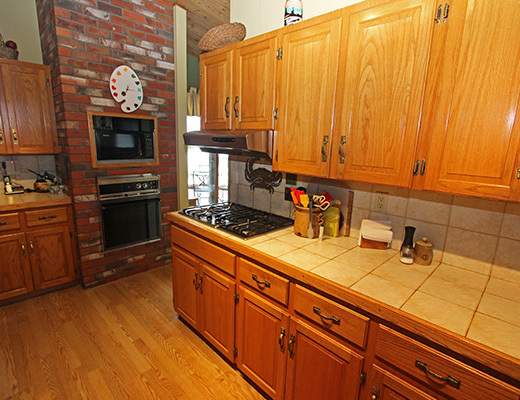 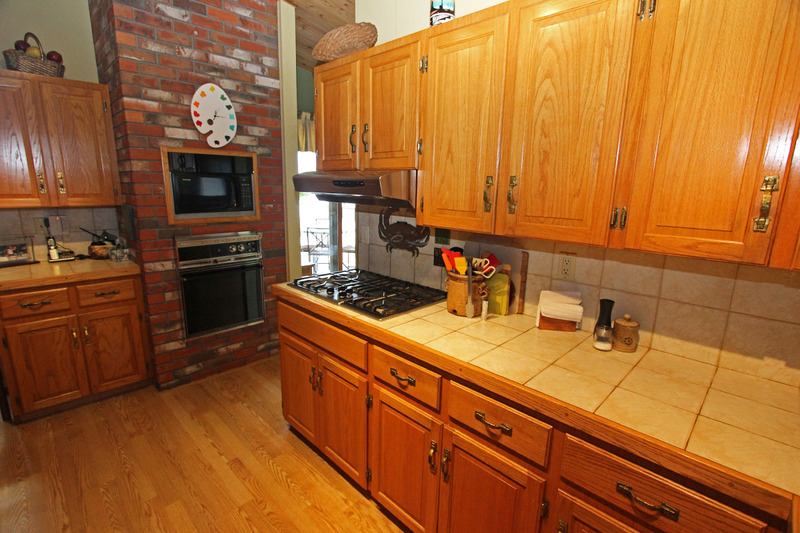 The kitchen is fully equipped for meal preparation and guests can choose to dine in either the dining room or outside on the covered upper patio. 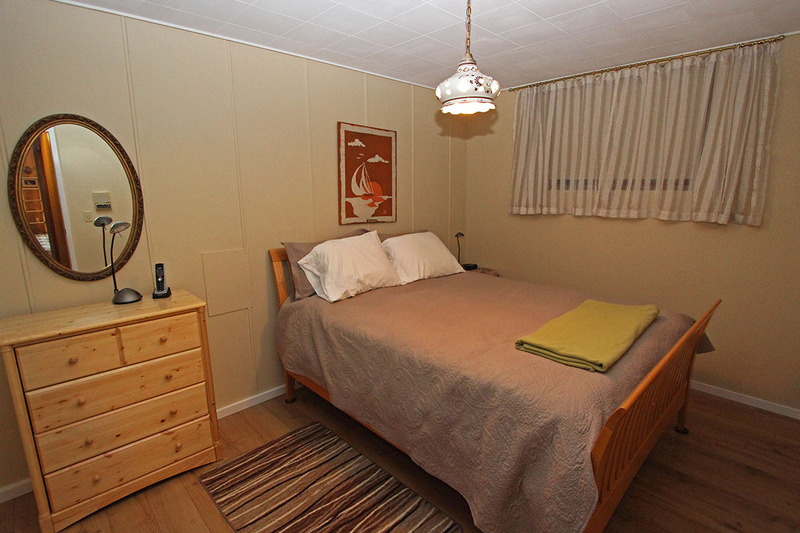 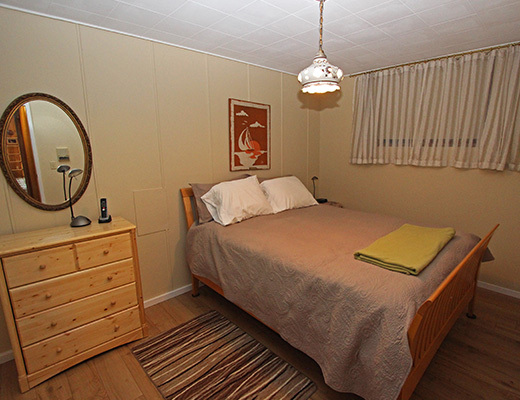 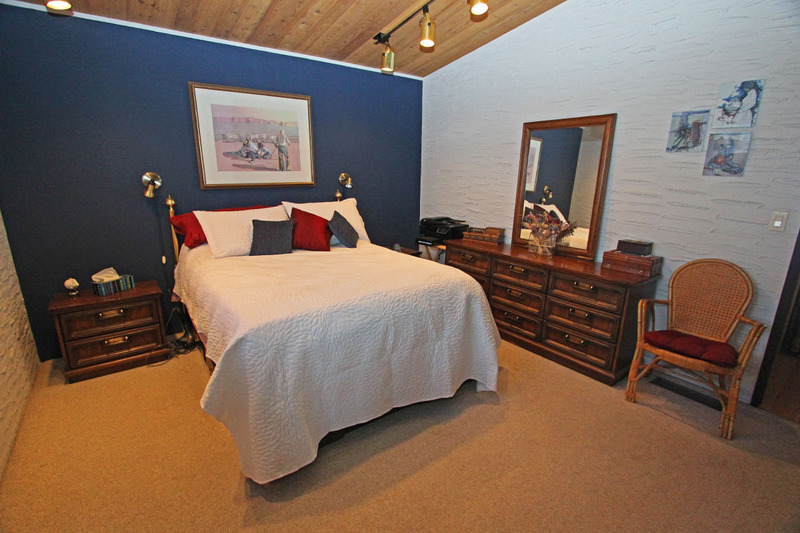 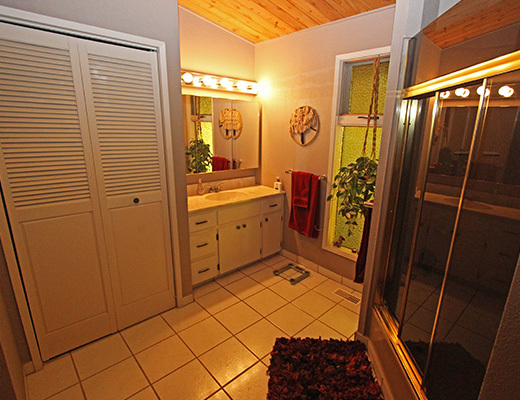 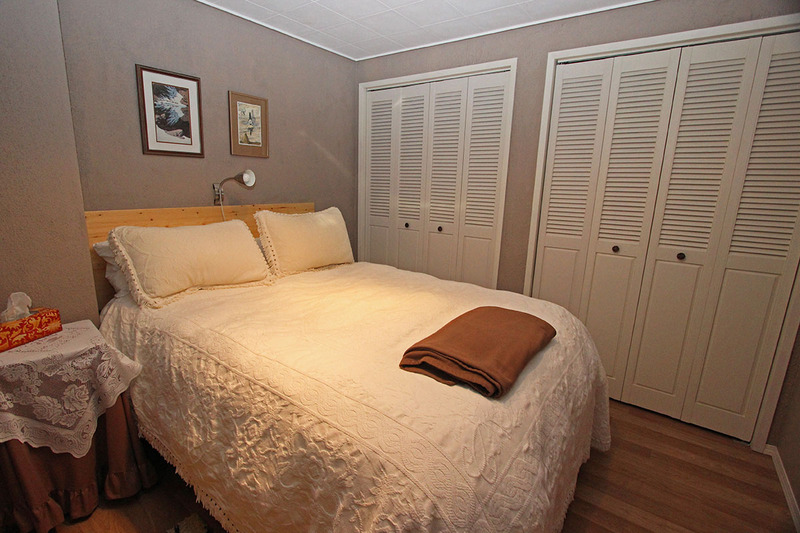 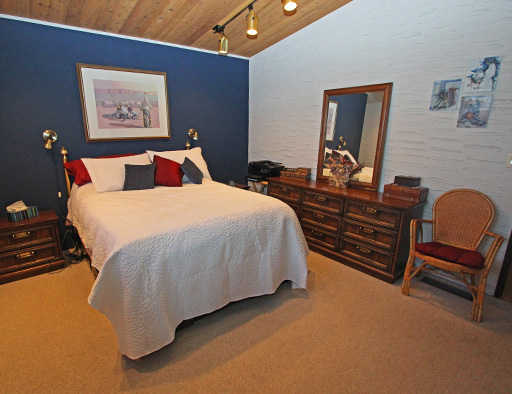 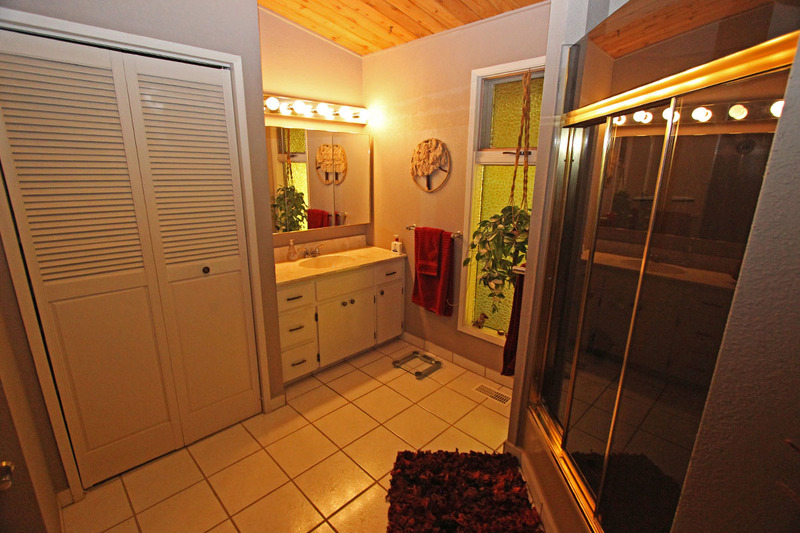 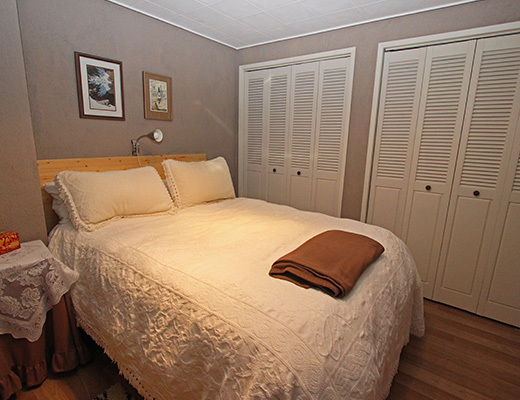 The master bedroom is also located on the upper level and is furnished with a Queen size bed. 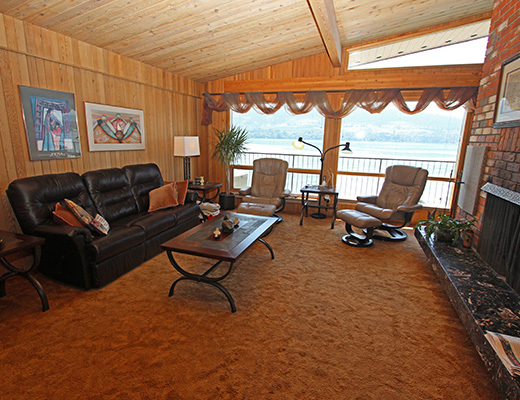 The lower level offers 2 additional bedrooms, each with a Queen size bed, as well as a rec room with sectional sofa and a unique indoor hot tub. 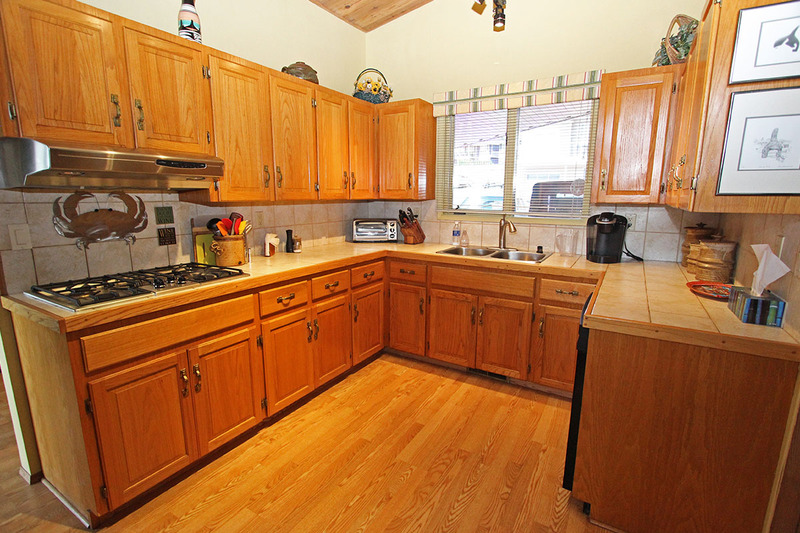 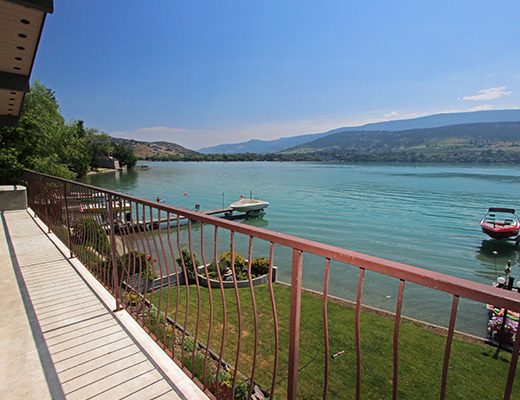 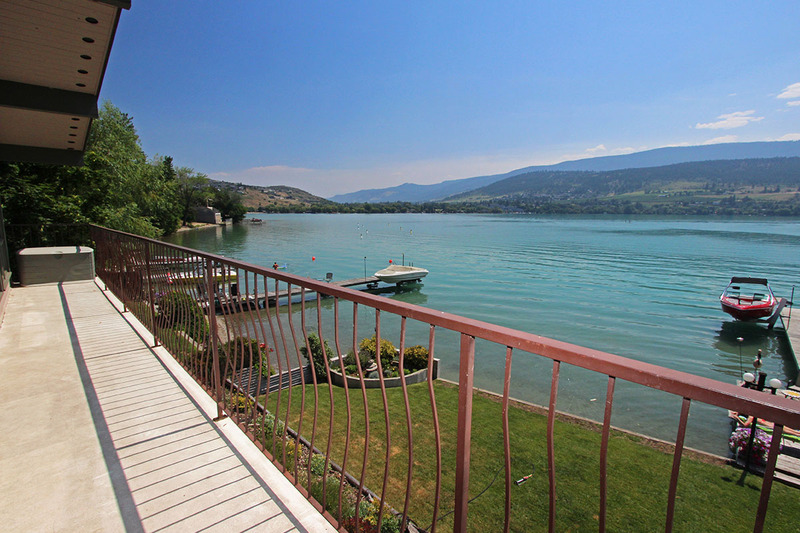 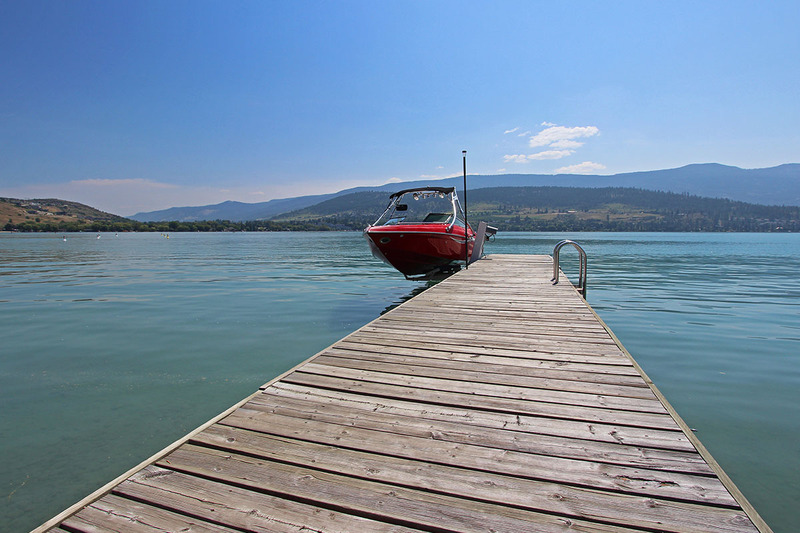 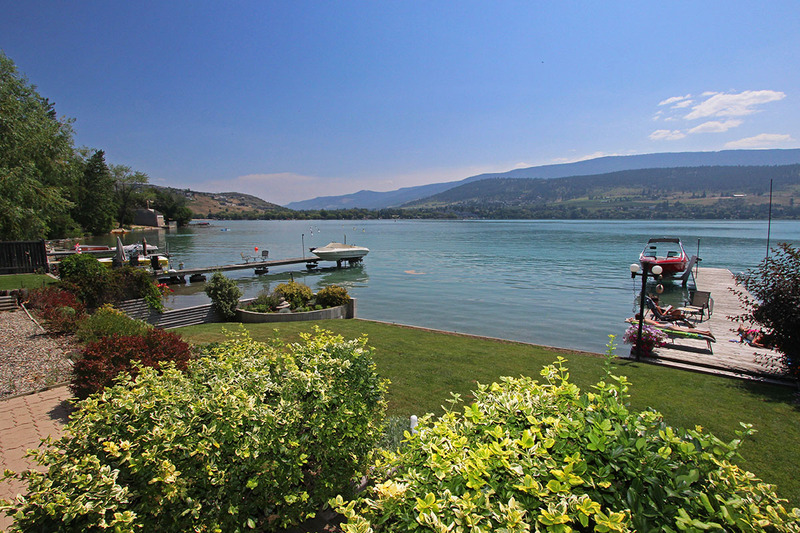 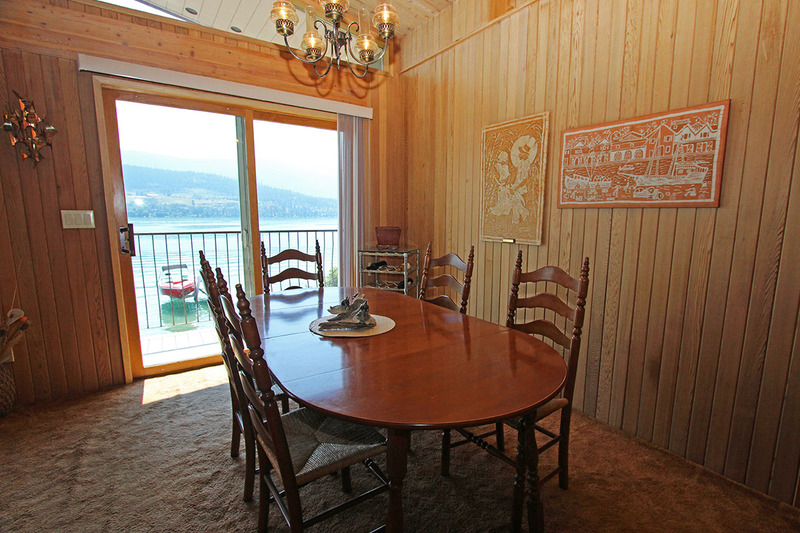 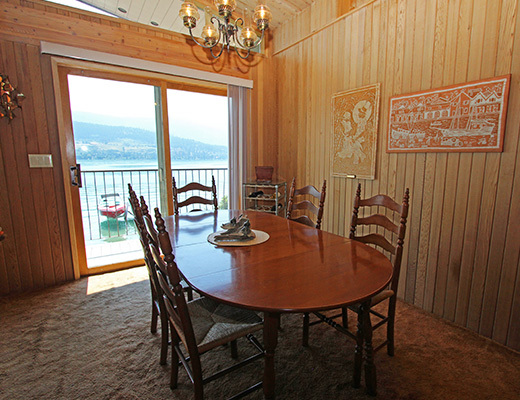 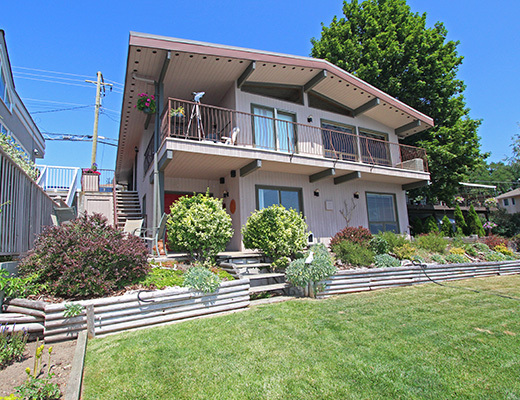 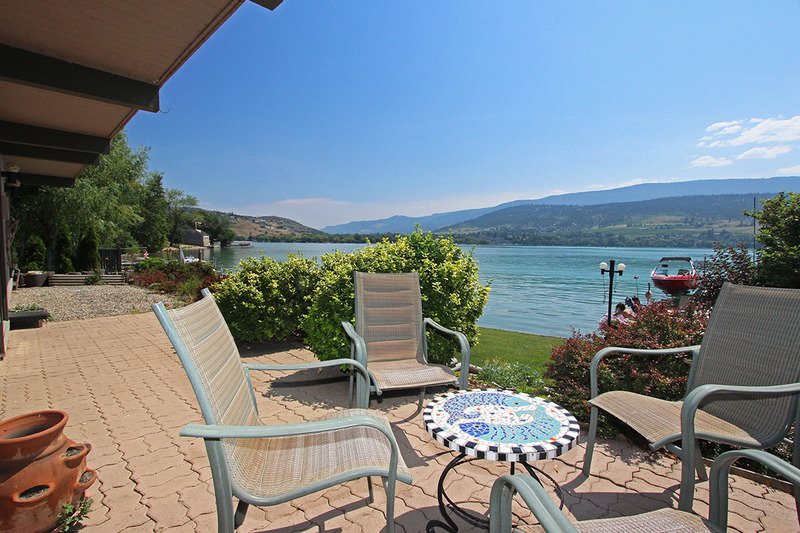 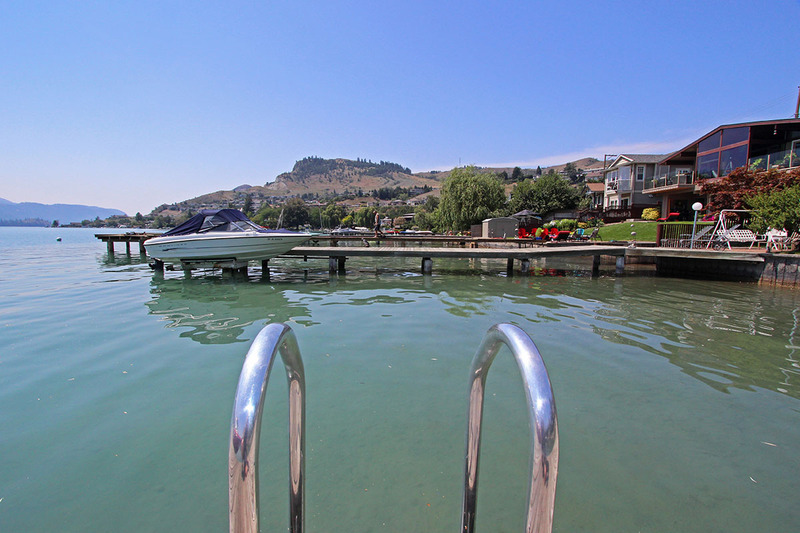 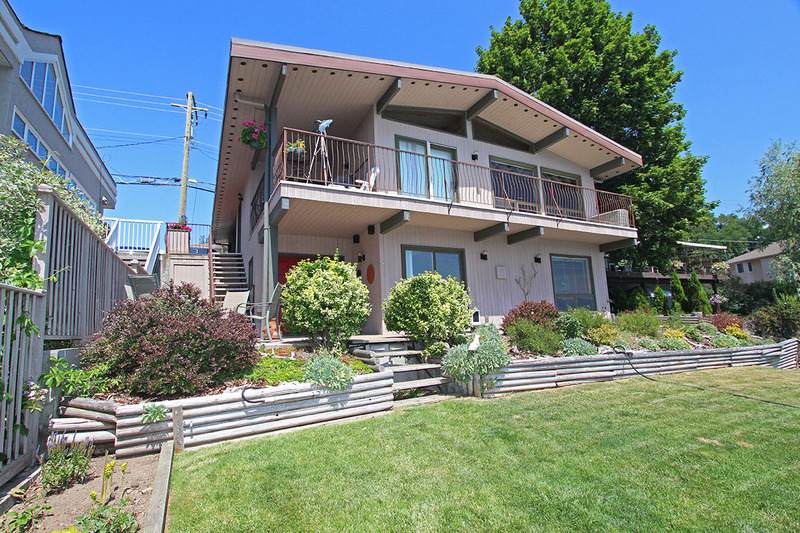 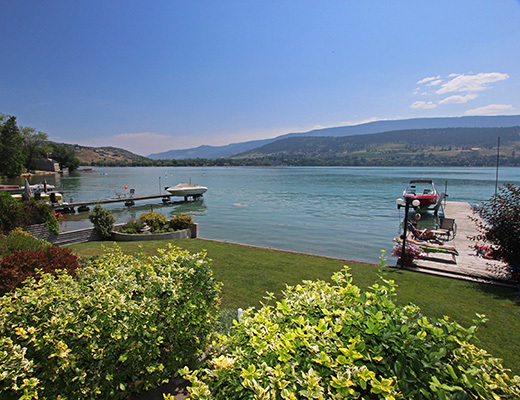 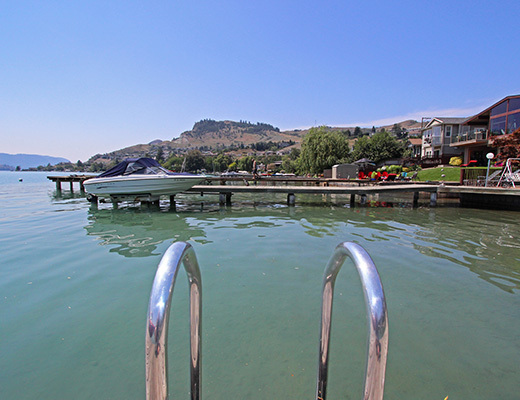 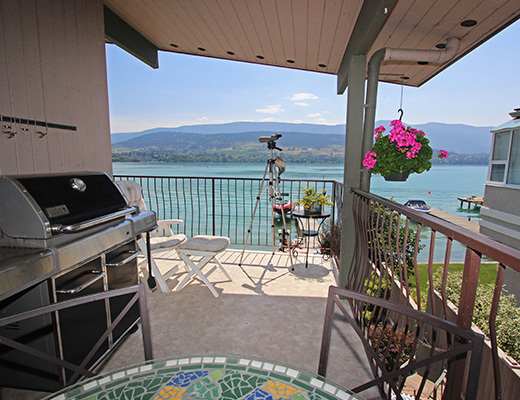 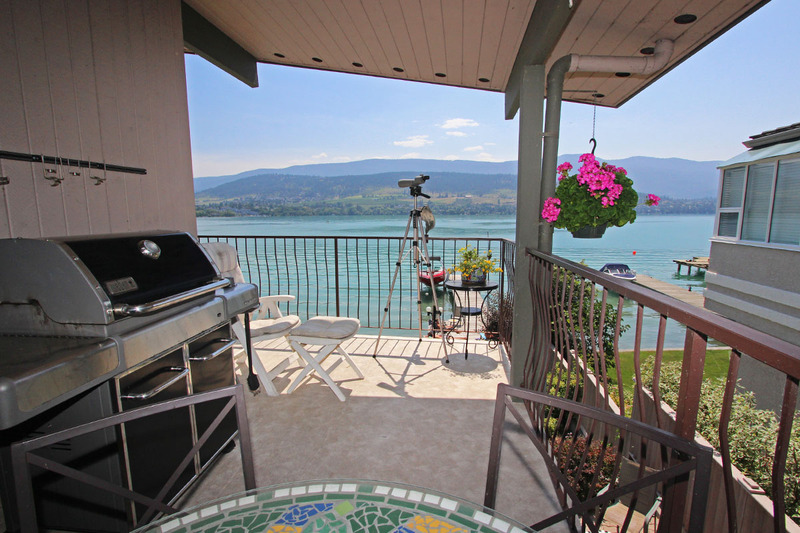 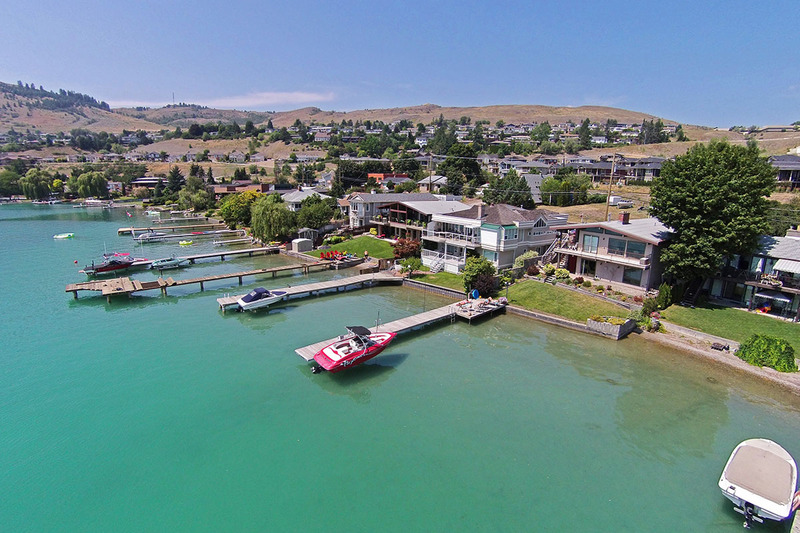 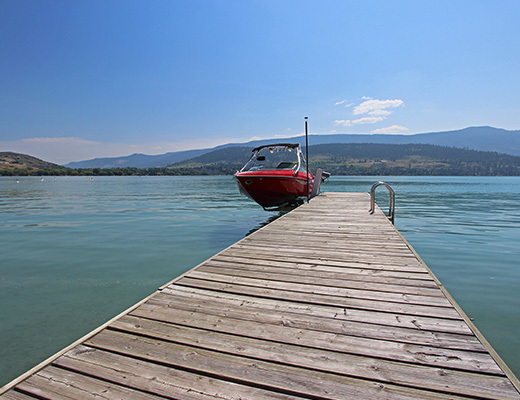 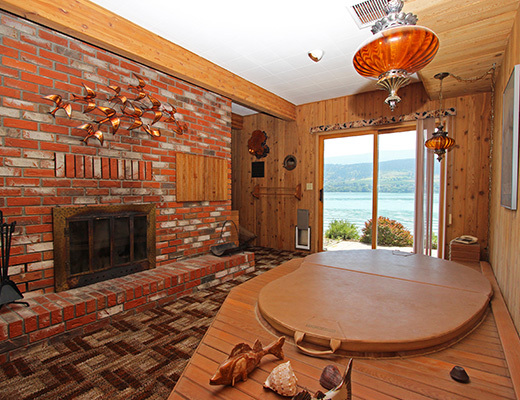 This home is an excellent choice for families of up to 6 guests who want to enjoy a relaxing lakefront vacation, while still being close to all the amenities that Vernon has to offer.